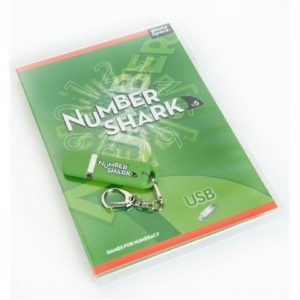 Numbershark v5 – Real Special Ltd.
Numbershark is a program to help anyone improve their numeracy. 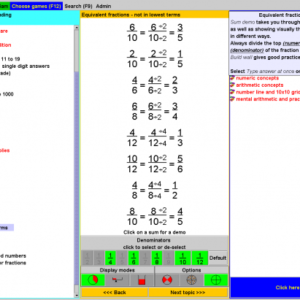 It addresses many of the difficulties which lead students to dislike maths. 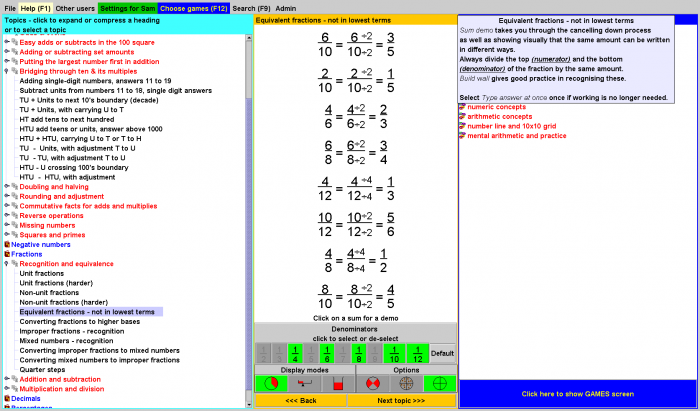 The program is made up of 50 cool maths games covering addition, subtraction, multiplication and division. 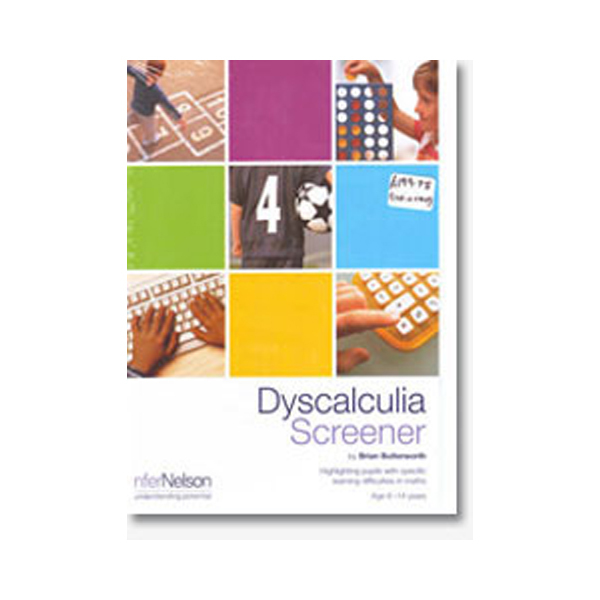 Suitable for people with dyscalculia, poor memory, poor attention span, and poor sequencing. Price shown is for the download version – we require the name, address and email of the end-user in order to register the licence. 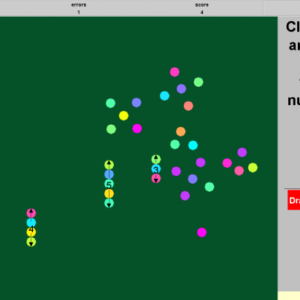 Numbershark is a motivating computer program that uses 50 games to teach and reinforce numeracy and improve understanding and use of numbers. The wide variety of carefully designed games provide many ways in which to practise the same information. This popular package for teaching and reinforcing maths offers tailored support to individuals through its finely graded, structured course and individual user programs of work. It is particularly suited for those whose numeracy skills are affected by poor short-term memory, attention span, and poor sequencing skills. Step 1: The program in basic steps: Select a list of ‘sums’ from the ‘topics’ e.g. 7 x table, easy adds to 100… To get to the database of ‘topics’, click on ‘choose topics.’ Numbershark gives a fresh set of ‘sums’ each time a topic is selected. Step 2: Click on one of the 50 games icons.. Step 4: Pick a new game!.. Step 5: When the topic is learnt, choose a new one! The program comes with an A4 size manual including advice on use of the program. There are also on screen help boxes for every game. For what ages is it suitable? 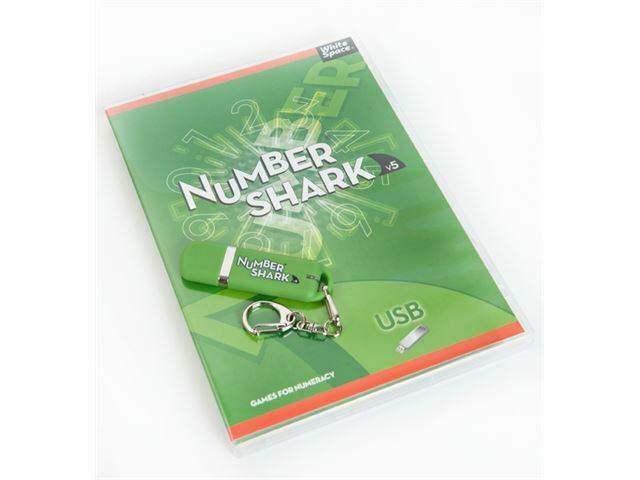 Numbershark is most often used by students between 6 and 15. 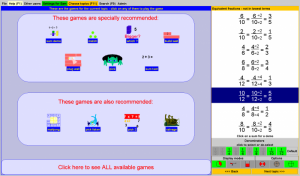 Most games are appropriate for any age although a few of the games are more suitable for younger students. 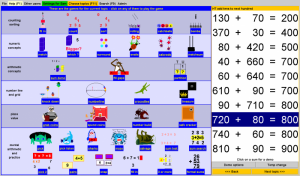 Older students, with reasonable number skills, use Numbershark to improve their mental maths – sometimes before exams. 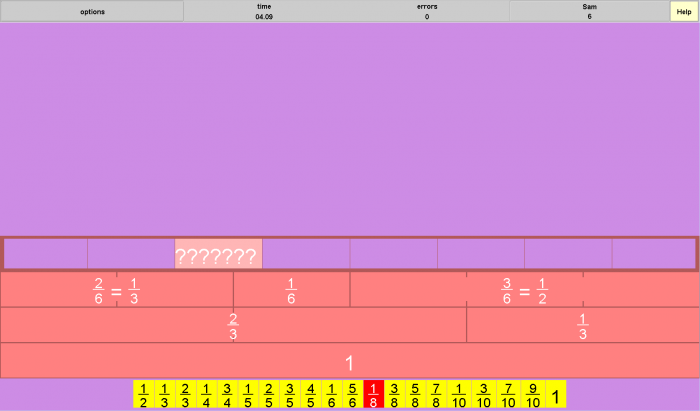 Will Numbershark help someone with poor numeracy? 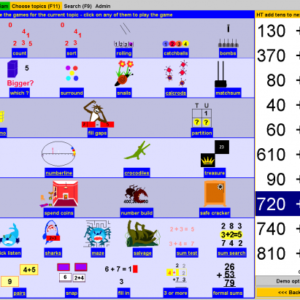 The program addresses many of the difficulties which lead students to dislike maths. These include poor short term memory, limited attention span and poor sequencing skills. 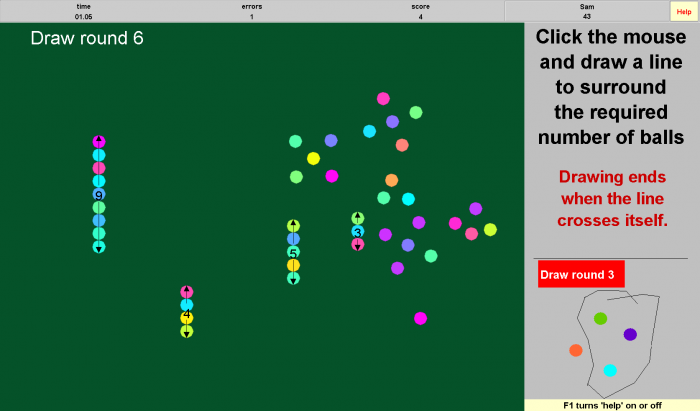 To help those with dyslexia and dyscalculia, many of the games give a visual idea of what is happening when you add, subtract, multiply or divide. 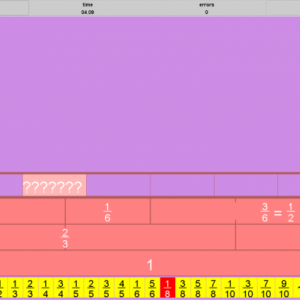 Fractions and decimals are also shown visually. Variable speeds and other options meet all grades of skill. Most games have no time limit so students have space to work out their number strategy and to build confidence. When you purchase the download, you need to provide your name, physical address and e-mail address. You will be e-mailed the licence key, plus instructions on how to install the software. The licence is linked to a single computer but can be deactivated to move to a different one if required. This is a one-off payment and the licence has no expiry or annual renewal charges. Copyright 2016 © Real Special Ltd.. All Rights Reserved.